Ready for the holiday weekend? I haven't planned my outfit yet but I will be going to a BBQ and then watching fireworks in the park. I will probably wear my Lilly Pulitzer firework print shorts this year. 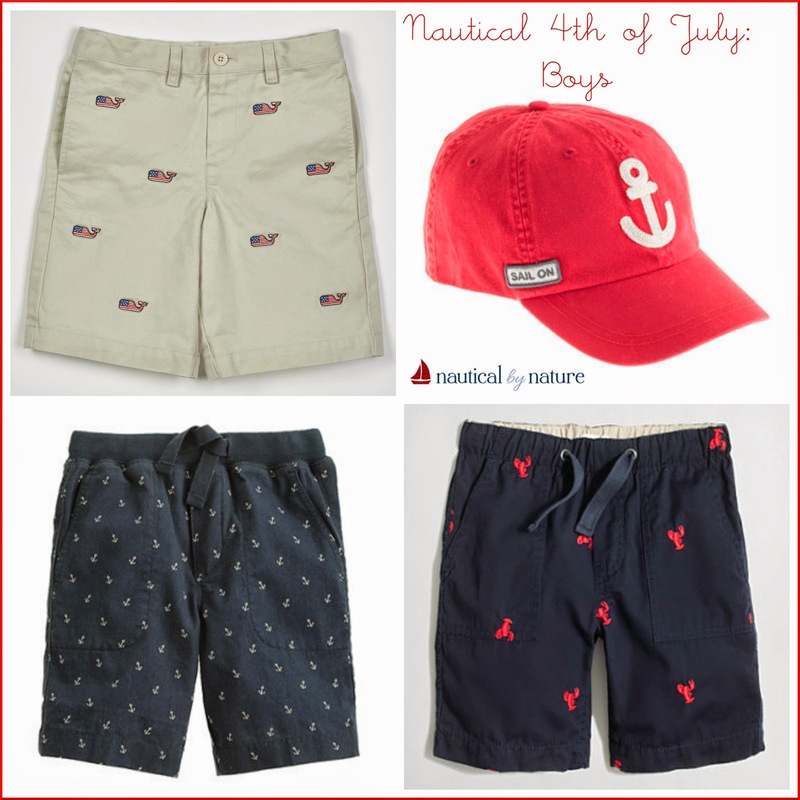 I love combining the patriotic red, white, and blue color scheme with something nautical. I may decide to wear my navy anchor dress with red sandals or a red cardigan. I have put together looks for the whole family below. WOMEN: If you are going for a casual daytime outfit how about this Vineyard Vines whale t shirt and some cute shorts? 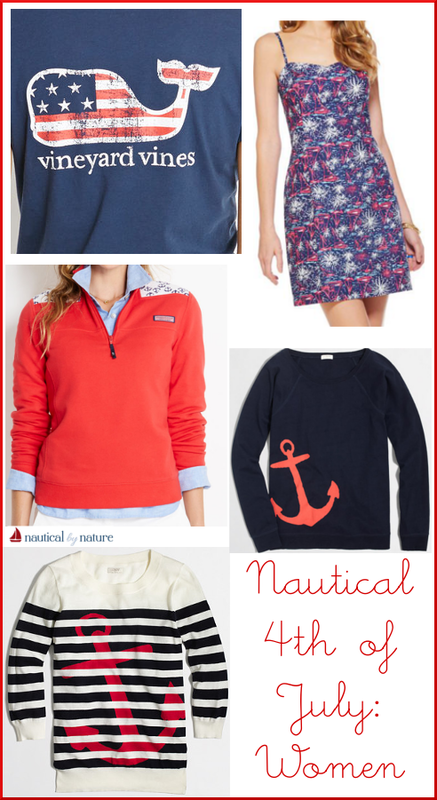 If it gets cold add the red Shep shirt (anchor print on the shoulders!). The two anchor sweaters would look great with white jeans and your favorite sandals. The Lilly sailboat fireworks print? Summer perfection. Easily one of my new favorite prints. GIRLS: If you want to match with your little one get her the little Lilly shift! The Vineyard Vines whale shorts are sold out in womens sizes online but your girl can still rock them with her favorite navy or red t shirt. Anchors aweigh? 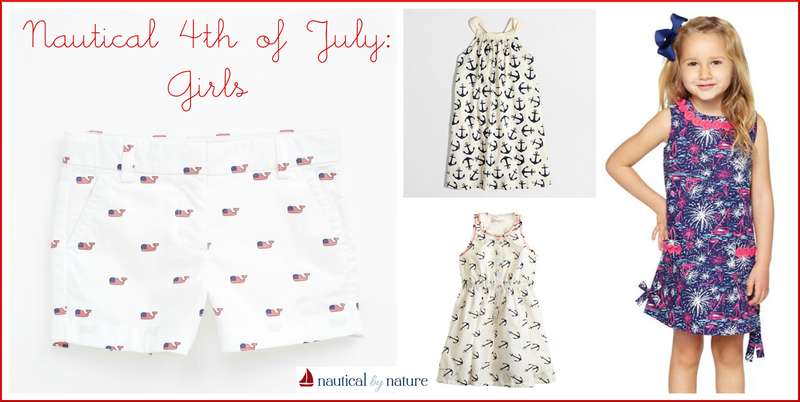 Both of the anchor dress have an adorable print that would look darling with red sandals! 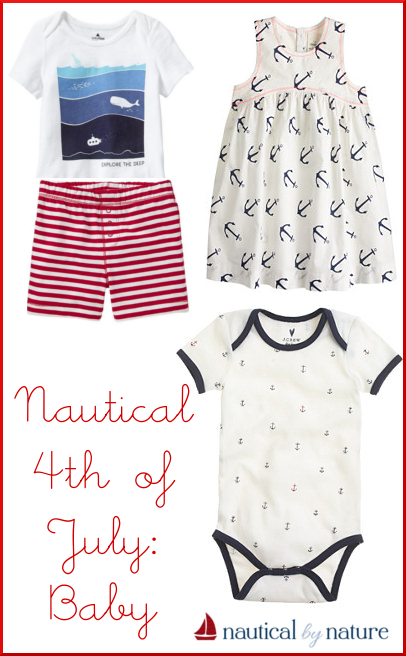 BABY: Is there anything cuter than a nautical baby? Nope! I would add red or navy striped shorts to wear with the onesies and maybe red or navy leggings under the dress if it starts to get cold. MEN: Vineyard Vines definitely has the best options for men this summer. But I did find a pair of anchor shorts at Gap that would look great with some navy and white!